A failure! We’ve gone from “Tim Cook is a mastermind at operations” to “Tim Cook is a failure at operations” in seven years and it only took Apple having just its second-best quarter ever. First, he has failed to keep the trains (i.e., products) running on time. Under Cook, Kheit complains, Apple did not update most of the Mac lineup and the iPad mini in a timely fashion. The Mac Pro, in particular, is so old that it has actually begun to smell. True story. OK, that’s not true. As far as The Macalope knows. But Apple’s lack of updates to a significant portion of the Mac lineup is a perfectly valid complaint. It’s just not an operational issue. The reason Apple hasn’t updated the Mac Pro in five years isn’t because they tried but someone screwed up and shipped the RAM to one factory and the SSDs to another, or because they couldn’t get a supplier for controller boards, or they ran out of copper. They didn’t update the Mac Pro because they either just didn’t think it was important or—and this is definitely part of the problem—they designed themselves into a corner with the trash can Mac Pro and had to completely start over. There are definitely mistakes being made here, but they’re not mistakes having to do with operations. Likewise his complaint about the HomePod coming late to the market and failing to be competitive isn’t an operations issue. They’re being manufactured to specification and they’re being delivered in a timely manner. AirPods availability came late and is still constrained. Now, that is an operational issue. Apple announced a shipping date but couldn’t meet it and has had trouble making enough to meet demand. It’s also, however, not that unusual. The Macalope distinctly remembers having to wait more than a month to buy an iPhone 4 back in the summer of 2010. …with Steve Jobs in 2007 they spent $0.78B on R&D and they updated almost all software (some very substantially), updated iPods, Macs, oh yea, and they released the iPhone. In 2018, Apple had the above track record while spending over 18X on R&D, i.e., $14.24B. R&D is spent on products the company hasn’t shipped yet. So, banging the table and demanding to know where that $14.24 billion from 2018 went is like sitting down at the breakfast table and demanding to know where your dinner for next Tuesday is. If the company really is working on an electric car, that’s obviously not an insignificant investment and it’s one that won’t show a payout for quite a while yet but could still be huge. Kheit lists the products Apple has discontinued or not substantially updated in recent years—AirPort, Aperture, Back to My Mac, the suite formerly known as iWork—without noting the ones that it’s added: Apple Watch, Apple Music, battery cases, keyboard cases, HomePod, Apple Pay, Watch bands, AirPods, the iMac Pro, Craig Federighi’s line of hair care products, and probably others The Macalope is forgetting or isn’t going to make up. And, while it didn’t update them for far too long, it has finally updated the MacBook Air and the Mac mini. While Apple’s portfolio of products has increased since 2007, its sheer size and scale have also increased. Now to the actual operations issue. Perhaps the most damning failure of operations at Apple are putting essentially all of its operations into a single basket, namely China. Apple is one patent injunction away from not being able to manufacture any iPhones. Not this one patent injunction in China. Some other one patent injunction in China. Possibly a magical patent injunction cast by a bog witch. One well placed patent infringement lawsuit where an injunction is held over some common iOS software element, or iPhone hardware subcomponent, and it’s game over. And by “game over” we mean that Apple might possibly just have to use some small portion of its vast cash hoard to buy the company that’s suing it and then continue to sell iPhones. OK, that’s easier said than done, but Kheit acts like Apple employs a herd of deranged goats instead of a legal department that’s responsible for handling these things and has done a pretty good job so far. Wow, really? Apple just revised down its forecast for the most recent quarter by about 5 percent and its stock is tanking while people are taking to the internet to tell us how Tim Cook is a failure at operations. What would things look like if it lost 20 percent of its revenue? China could stop Apple from making iPhones, but it’s worth noting that making iPhones is in China’s best interest as well. Also, the country has other, less nose-off-face-cutty ways of showing its displeasure with other parties. He should have a US manufacturing plant making iPhones, even if it’s only 5% of the supply. It’s less hard to build a factory than it is to build an entire supply chain, but you need both to get a product made. Which is something that Cook understands. 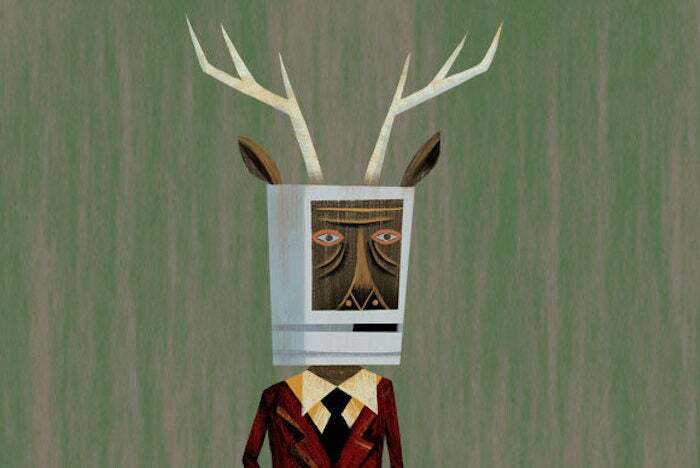 The Macalope isn’t saying Apple might not benefit from diversifying its sourcing, but it’s a complicated issue. A complicated operational issue. Apple has never been flawless at operations, it’s just generally better than all its competitors. And Tim Cook is the person most responsible for that.